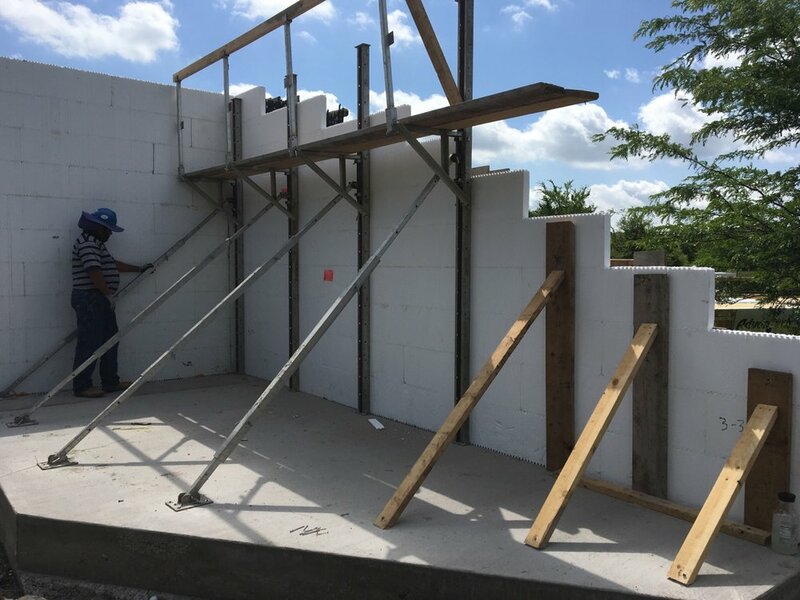 IntegraSpec® is an Insulating Concrete Form (ICF) consisting of two panels of expanded polystyrene (EPS) married with high impact polystyrene spacers used to hold patented webs designed to rebar as needed. Once stacked together, these forms represent a mold ready for concrete placement, similar to a traditionally poured concrete wall. IntegraSpec®'s forms never leave the concrete. energy efficient - the combination of a solid concrete core along with an interior and exterior insulation panel, creates a energy efficient wall that protects indoor air temperatures. safe - the combination of concrete and steel supersedes the structural integrity your traditional framed buildings have. 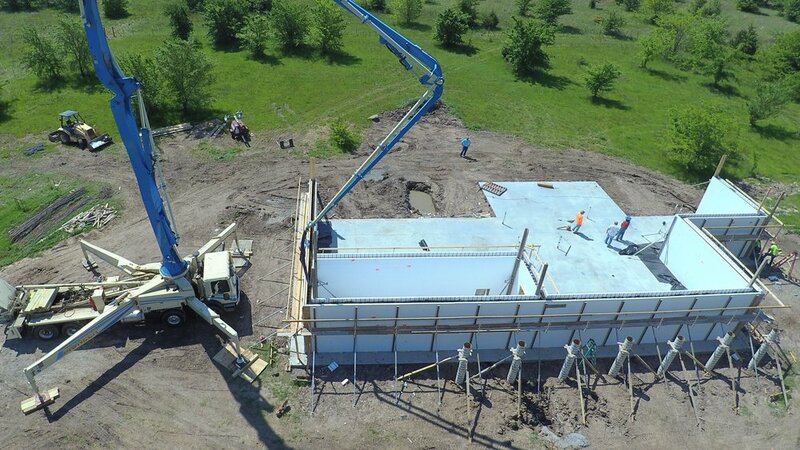 ultimately a icf wall offers greater protection from high winds found in hurricane and tornado prone areas. peace - icf walls provides an stc (Sound transmission class) rating of 50 or greater when combined with other sound reduction material. beneficial for high traffic areas. neighborhoods near trains, airports, etc. Health - ICF walls eliminate moisture issues commonly found in drywall, basements and attics. Also, there are no VOC's (volatile organic compounds) off-gas that typical plywood and other building materials tend to have.